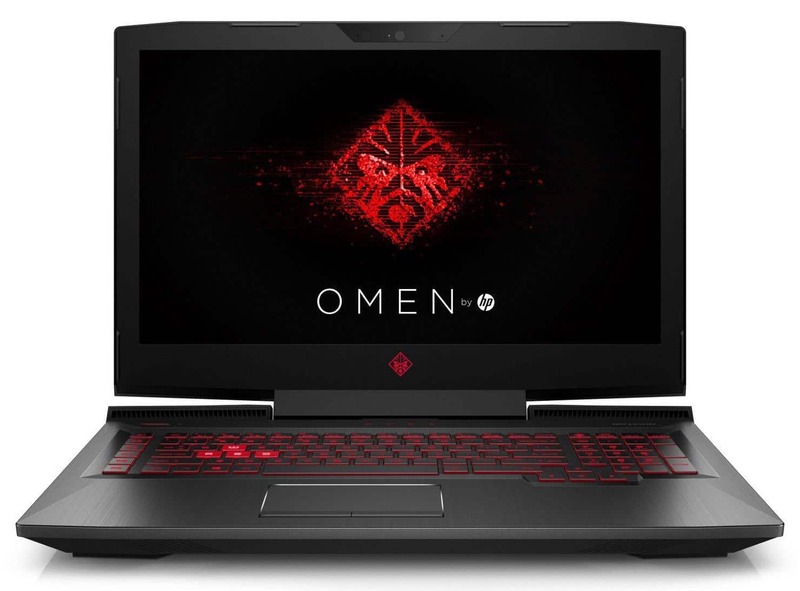 The HP Omen 17-an021nf is a large format gamer notebook with a sleek, massive and structured design. It hides swift performance with its Kaby Lake i7 Quad Core i7, 16 GB of RAM and its robust hybrid storage capacity (1.5 TB). 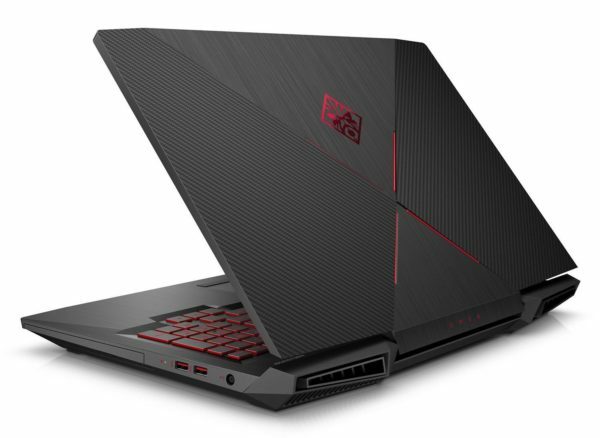 Opposite, the presence of the GeForce GTX 1070 (8GB GDDR5) Pascal promises a level of play of scale with the support of a screen Full HD IPS matt 120 Hz coupled to the technology G-Sync. Guaranteed immersion. There is also a generous connection with Thunderbolt 3 and a good autonomy, not to mention its armed keyboard for players. It is displayed at less than 2000 euros . To dress up its Omen 17-an021nf, HP offers an angular aesthetic, imposing and racy that clearly assumes its game destination. On the back, the lid held by a central hinge takes the carbon fiber patterns of the previous design but they coexist now with a brushed effect, delimited by a cross underlined with red (Shadow). The keyboard frame has a “brushed sandblasted” finish and a glossy net surrounds the touch pad and base for the touch of elegance. In addition, the keyboard has been reworked for more precision with a red backlight, the bright red letters “ZQSD” and the valuable addition of six independent macro keys to create custom shortcuts and game combinations. 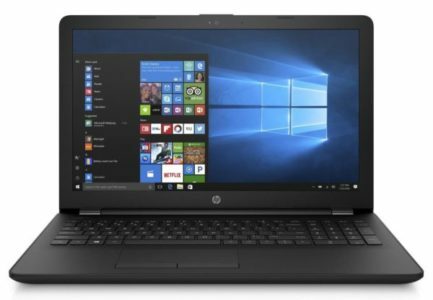 Side dimensions, HP assumes its strong bias with a wider frame, deeper and thicker, but especially heavier than its predecessor. The autonomy should exceed the average thanks to the large battery (86 Whr) and reach 5 hours in Internet browsing with active WiFi, despite the large screen and G-Sync. At the opening, we discover a 17.3-inch screen surrounded by large black borders. This will prove to be very valuable for the gaming experience. Indeed, its refreshing rate reaches 120 Hz and it takes advantage of NVIDIA G-Sync technology that synchronizes the GTX 1070 with the slab to offer a perfect made as clean and fluid as possible in the action. Added to this, the screen sports a full HD (1920 x 1080 pixels) definition at the comfortable display density to make the most of High Definition content and the matte treatment will reduce glare in a bright environment to better capture the action of the game. Best of all, IPS technology will offer a wide field of vision, perfect for those who move as much as their character on the screen. A fundamental element in its gamer configuration, the GeForce GTX 1070 (8 GB GDDR5 dedicated) is a recent high-end graphics card. In practice, the performance gain reaches 40% compared to a GeForce 980M, enough to offer very robust graphics and play in Full HD / Ultra on all titles in vogue. The game in 4K is also supported with fluidity and details (on external screen), as well as virtual reality. Of course, the HP Omen 17-an021nf is also used for other purposes than the game. Indeed, the Quad Core i7 Kaby Lake supported by 16 GB of memory is ideal for a versatile demanding use. 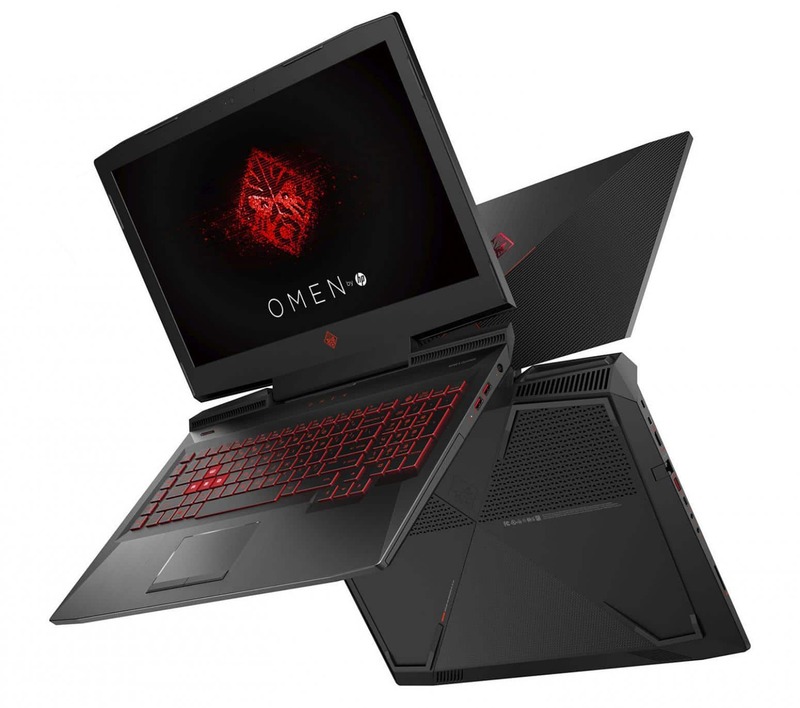 It flies over all common office tasks and can tackle demanding tasks such as video editing or 3D modeling, with significant room for multitasking. The 16GB RAM is great for collectors of active applications or tabs on the browser and provides valuable fluidity during the game. Another strength of this PC that will ensure the liveliness of the system, the storage solution is entrusted to a 512 GB SSD and a hard disk of 1 TB running at 7200 rpm (cons 5400 tr usually). The first uses its great ability to house the operating system, games and other programs while the second will take care of the storage of your secondary games and your toy library. This gives you a particularly responsive operation with a reduced response time compared to a single hard disk solution, especially since the SSD NVMe PCIe interface wipes read / write speeds faster than the SATA standard. Connectivity follows the general trend and ensures a good level. HP is finally at the level of its main competitors by integrating a USB Type-C (Gen2, DisplayPort) and a mini-DisplayPort. We are also witnessing the return of the DVD burner. You also benefit from the latest generation of the WiFi 802.11 AC chip and Gigabit Ethernet with “Network Booster Dual Force” technology to give priority to games. For the rest, there is an SD card reader, an HDMI output and three USB 3.1 ports.